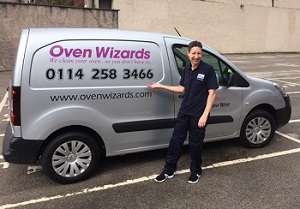 Oven Wizards, one of the UK’s fastest growing franchises, is delighted to welcome two new female franchisees into what has been a predominately male-oriented industry. Dele Aboderin bought Gloucestershire and Pippa Weir acquired the Sheffield South West territories in 2018. Dele had done a lot of research into franchising before deciding upon Oven Wizards. The chance to run her own business doing something she enjoyed and being backed by an established brand, attracted Dele to Oven Wizards. Pippa was looking to keep her job in nursing, a career she had loved doing for 40 years, and run her own business doing something totally different alongside it. She had never worked in franchising before, but after much research and understanding the pros of working with an established brand with ongoing training and support, she knew Oven Wizards was the right move for her. Oven Wizards stood out to her as it was an essential service and one that relied on excellent customer service skills, something that Pippa has plenty of. Pippa said, "I'm getting booked up usually a week or two in advance and I’ve had a great start to 2019”. Both are really enjoying being Oven Wizards franchisees. Business growth is up 16% in the last year, and a whopping 46% over the last two years in terms of the value of ovens being cleaned by Oven Wizards Franchisees. This compares very favourably with the increase of 14% seen in the Franchising sector over a similar period,as reported in the recent Nat West Survey, 2018. To Learn more about franchise opportunities with Oven Wizards, please contact them for more details here!